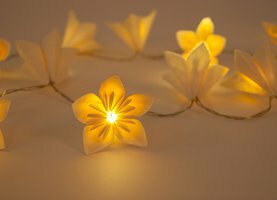 LjómaBlóm is a string of lights with flowers.The flowers are made out of recycled milk cartons, that is the cartons are cleaned of all chemicals, wax and glue and new paper is made. 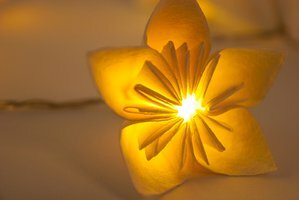 The paper is then folded into the origami shape, kusudama flowers, and attached to the light string. 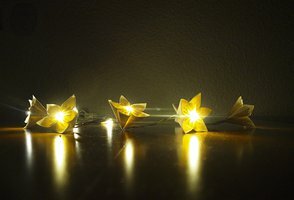 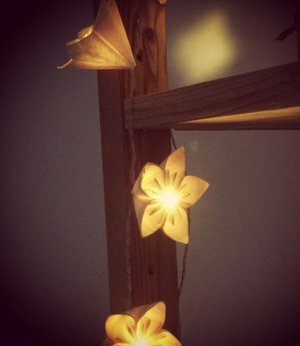 There are ten flowers on each string that give a warm and subtle light when switched on but are also decorative when the lights are out.